The Institute of Fundraising Cymru supports individual fundraisers and charities in their fundraising endeavours, right across Wales. 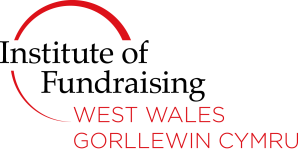 The West Wales Regional Fundraising Network is run by its members and aims to provide a forum for networking and discussion in the area. Members – whether individual, organisational or corporate – join because they are committed to achieving the highest standards in fundraising and fundraising services.